BEST IN ITS CLASS: Travel in top-of-the-line luxury with the highest-rated B+/C motorhome on the market – the Coach House Platinum 272XL FS. Excellent condition. 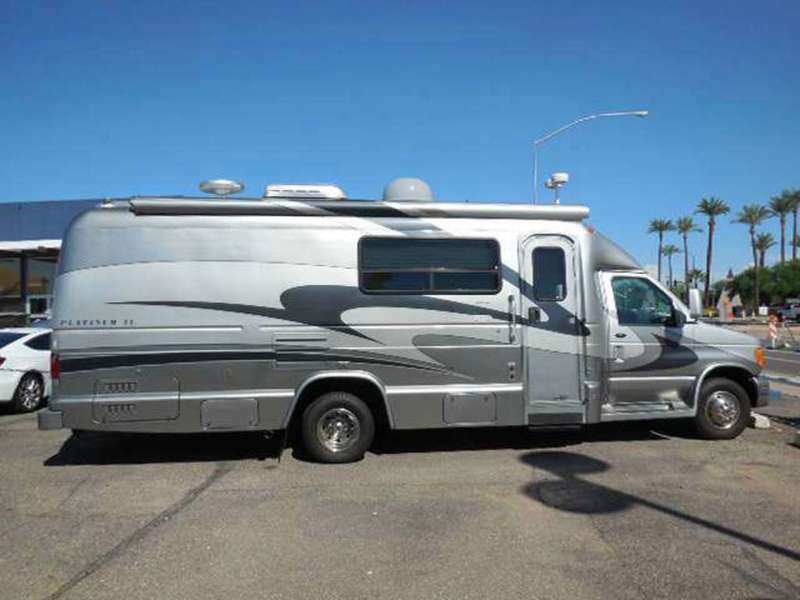 PRICED TO SELL: At $75,000, this RV is priced to get you on the road quickly this summer. NADA Guides give this Coach House an Average Retail price of $84,000 and the MSRP is $153,000. We've added extras worth about $2,000 and you can opt for the transferable service contract we bought that has 16,000 miles and two years left on it. EXTERIOR FEATURES: Patented one-piece hand-laid fiberglass body prevents water leaks and rattles and is stronger, more durable, quieter, and safer than multi-piece designs. Cold-weather package, which includes heat for the storage tanks. Auto-leveling hydraulic jacks. Automatic entryway step and porch lights. Awning, auxiliary shower, and electrical outlet provide outdoor fun. Large and small exterior storage spaces. Two 6-volt deepcycle golf cart batteries. The Onan generator has about 233 hours on it. 15 gallon LPG tank. 32-gallon water tank. Backup camera with viewscreen inside vehicle. Front and rear trailer hitches. INTERIOR DETAILS: The living area has a slideout with a comfortable sofa in the front that converts automatically to a full-sized bed. A swivel lounge chair faces the sofa and both seating areas have optional tables. The TV and multimedia system are high quality. There are storage cabinets above the sofa and chair. The bedroom in the back has a queen bed and a second slideout for extra room around the bed. It also has a closet and upper and lower storage cabinets, a second TV, mirror, reading lights, and a privacy drape. It also has underbed storage. The bath is a dry bath; the shower is fully enclosed with a glass door and separate from the toilet and sink. The kitchen has a refrigerator/freezer, microwave-convection oven, three-burner propane stove, a sliding pantry door and cabinets below and above the sink. There are two Fantastic fans, electric and propane heat, A/C, and hot water. Beautiful interior details include the Venetian style decor with dark cherry veneer cabinetry, valance coverings, and a bedspread and matching shams and sofa pillows. The windows have light-filtering and privacy shades. Screened side door. With the slideouts retracted, there is still plenty of space to move around the interior. ADDITIONAL DETAILS:We lived in this motorhome full-time for six months. It is of the highest quality and easy-to-drive. It is spotless, inside and out. Non-smokers. We will also include a custom-made set of beige Sunbrella slipcovers that we had made for the driver and passenger seats, the swivel chair, and the sofa. The dashboard has a custom-fit beige cover. If you're looking for a high-quality motorhome, with all the attachments to be camping tomorrow, this is a MUST-SEE! 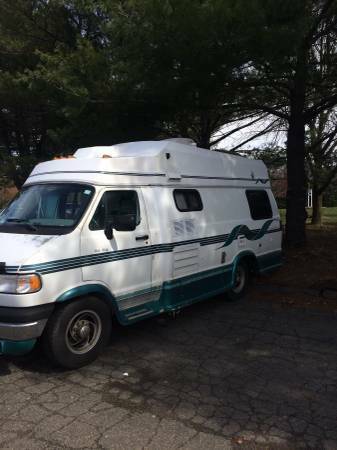 Class B Dodge 3500 CoachHouse van with 80,000 miles.everything works!shower, toilet, stove, fridge (propane,ac,D.C.) queen bed that changes to coach wig push of a button. Microwave, generator. Awning, outdoor shower, cruise control, stereo with aux and new speakers I installed. 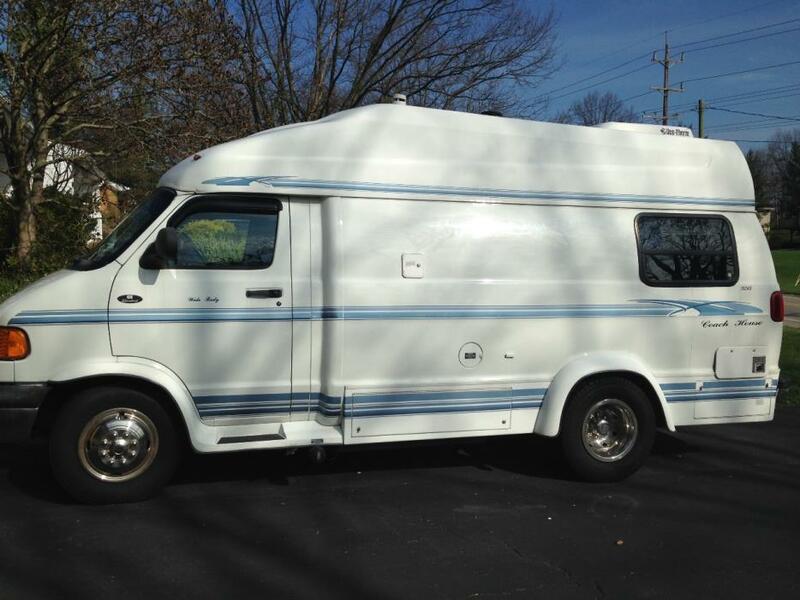 The van is in good condition, with over $4,000 in maintence records within the last 3 years. This van was purchased by me in Florida 2 years ago and has only seen two winters.there is minimal rust on the body and the frame/ motor have practically no rust. 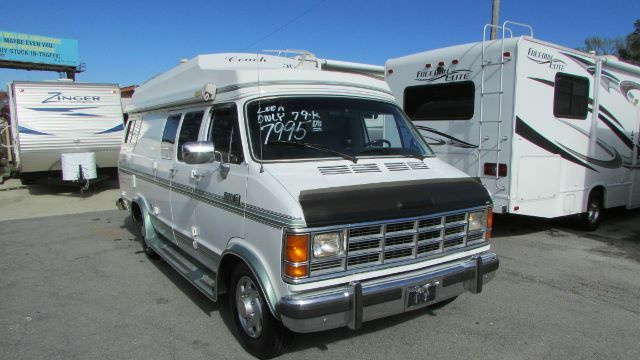 It's time to buy a home, and part with this great van. 2006 Coach House Platinum 261XL Sofa Twin, GREEN TAG FINAL CLEARANCE SALE!!!!! 2006 COACH HOUSE PLATINUM M261-XL, GREEN TAG BLOWOUT SALE!!!!! SAVE Lots of Storage and Living Space, One Slide, Power Awning.Come Test Drive This Beautiful Like New Coach House Platinum! This Rig Has Only 63,000 Miles. The Interior Is Like New. 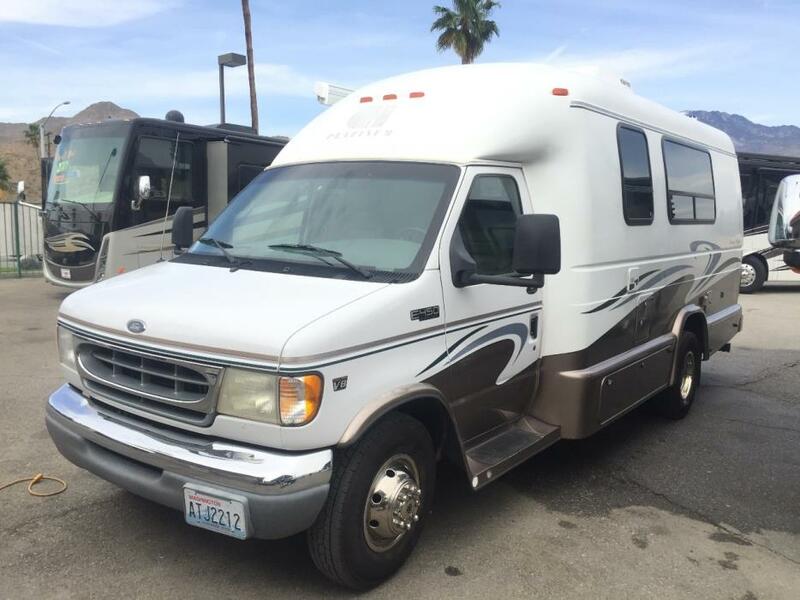 Perfect For A Road Trip Cross Country And Priced To Sell. Engineered To Industry-Leading Standards In Performance, Convienience And Design. 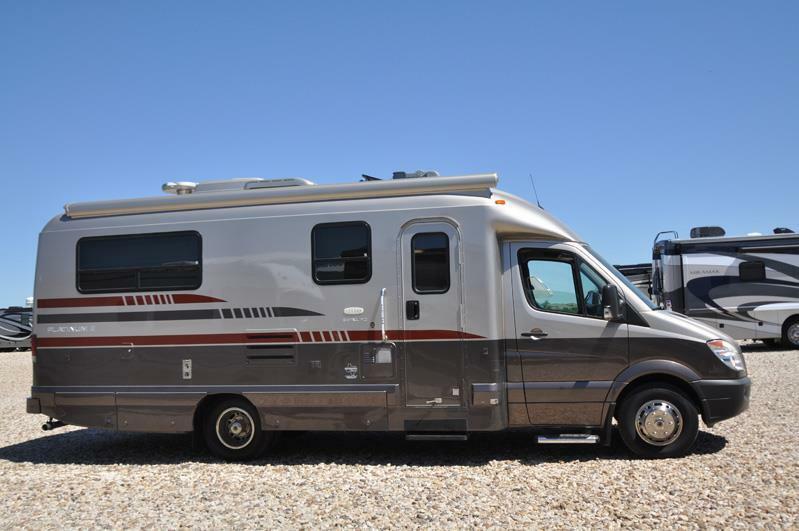 This Rig Redefines The Luxury Touring Motorhome LIFESTYLE. Whether You Are On The Journey Of A LIFETIME Through The Rockies With Your Better Half, A Day Trip To The Zoo With Your Grandkids, Or Tailgating With Your Fun-Loving Friends, The Reliable Platinum Gets You There And Back Comfortably, Safely And In Style.ADDITIONAL OPTIONS INCLUDE10 Cylinder EngineGasoline306.0 Horsepower @425055 Gallon Capacity420.0 Net Torque @ 3250Patented Aerodynamic One-Piece BodyFORMICA/WILSONART Cabinets W/ Raised-Panel Door And Drawer FrontsFlat Panel Television13,500 BTU Ducted Roof A/C W/ Heat Strip4.0KW Generator(MICRO-QUIET)Reclining SofaDinetteConvection Oven/ Microwave, RefrigeratorPower AwningOne SlidePlenty Of Storage, LED LightingSurround Sound ThroughoutAnd Much More! 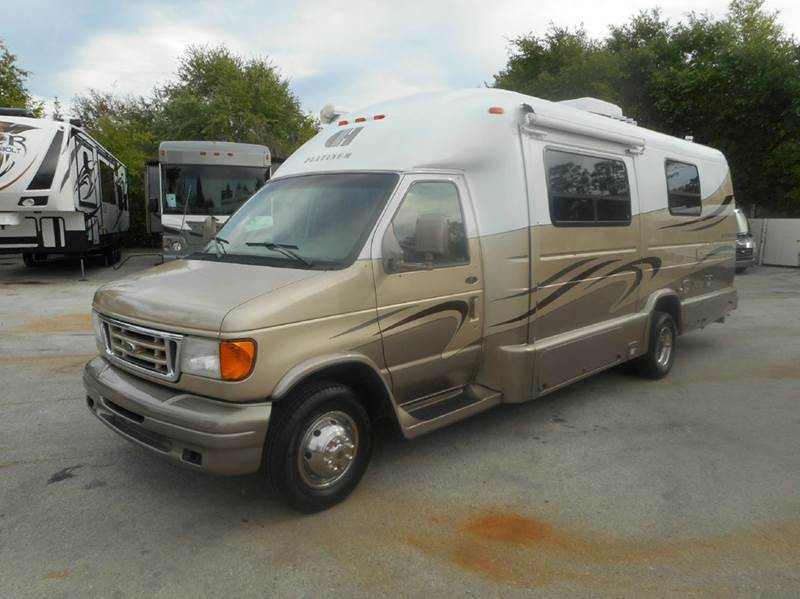 This is very rare nice and clean very desirable Class B motor home . 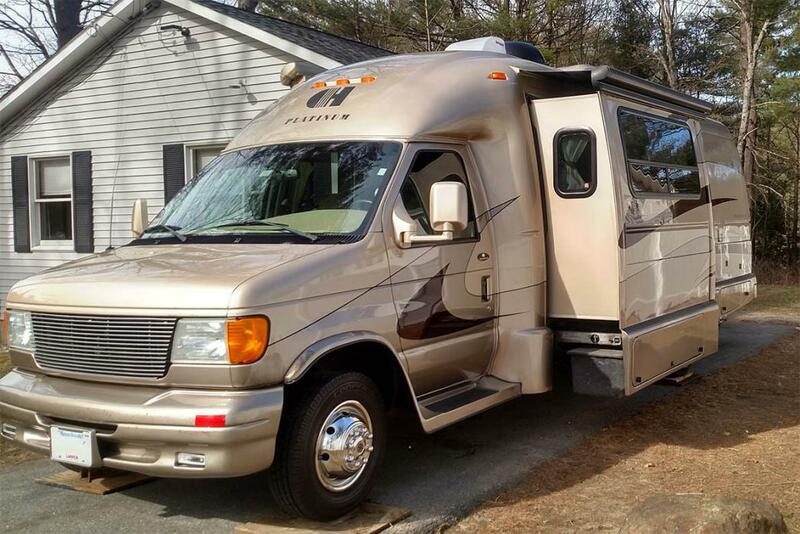 This 1990 Coach House 192 TB is built on the Dodge 3500 Chassis with the bulletproof 5.2 liter 318 cubic inch V -8 and gets great fuel mileage (est.around 15 MPG) . This is one of the most fuel efficient motor home you can buy !! 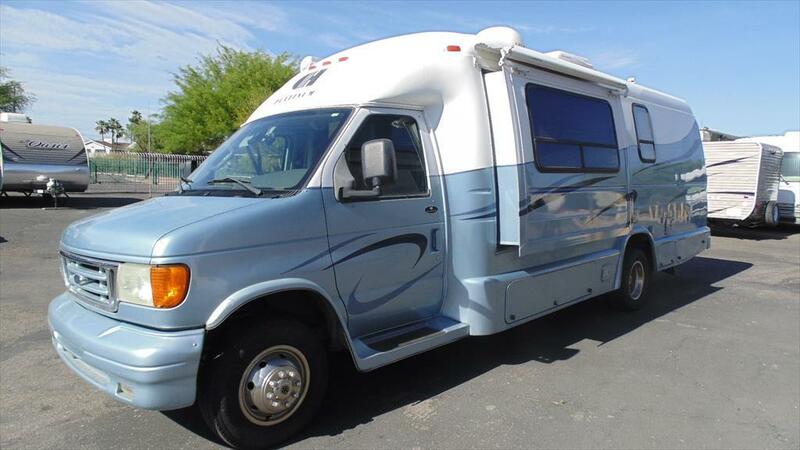 Only 19 ft. ft. long Very easy to drive and park and if you can drive a van then you can drive and park this motor home without any problem ! Very low miles (only 79,,000) . 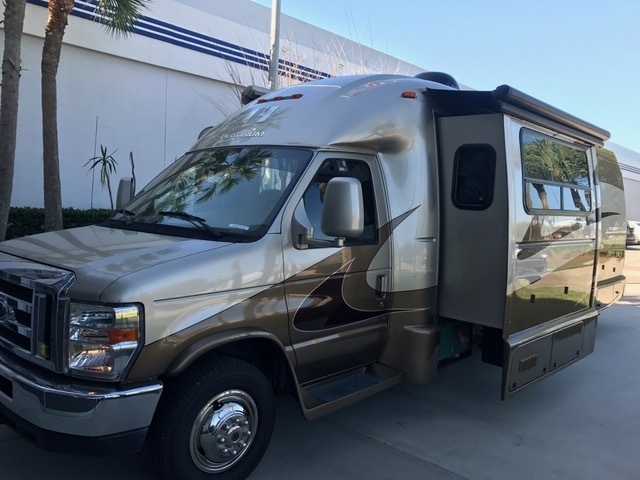 This motor home has more power for getting out in todays modern interstates , climbing mountains then any Toyota motor home and gets close to the same fuel mileage too ! Almost new Michelin Tires This Van is ready to take camping anywhere in the country right off the lot . Will sell very fast so call us today (these Class B's are so rare and sought after that we normally sell them within 24-48 hours of posting online) ! Camper vans are about impossible to find used in this price range in this condition with a generator . Check ebay, RV trader and google . There is nothing this nice and clean for under $10,000 anywhere else . The interior looks great . No smoke or pet odors and after purchase we will perform a major systems . The front cab has ice cold dash air that will cool the entire Van , power windows, power locks, power mirrors, and tilt / cruise Behind the cab is a side kitchen with electric refrigerator and a 500 watt inverter so you can run it while travelling , Stainless Steel Sink, LP stovetop and Microwave . Very unique side bathroom with hot shower built in . Rear sofas either make two twin beds or a single queen bed (very rare on a class B ) , removable table, ice cold roof air, dsi furnace , and more ! This has everything a big motor home has but in a small package . The dash air is cold enough to keep the entire van comfortable so no generator is needed . Only $7,995 Haggle Free and will trade . We offer discount nationwide delivery (we have sold RV's to all 50 states, Canada, Europe, and even Australia so you are never too far away for us to save you money on a pre-owned RV) . We have some great financing with approved credit and down payment . 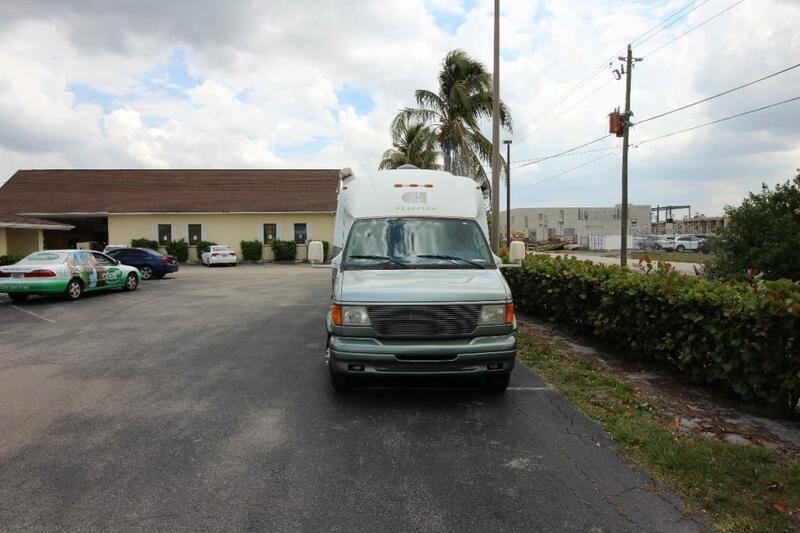 Parkway RV Center also does not charge any doc fee, no prep fee, no tag / title fee, etc. 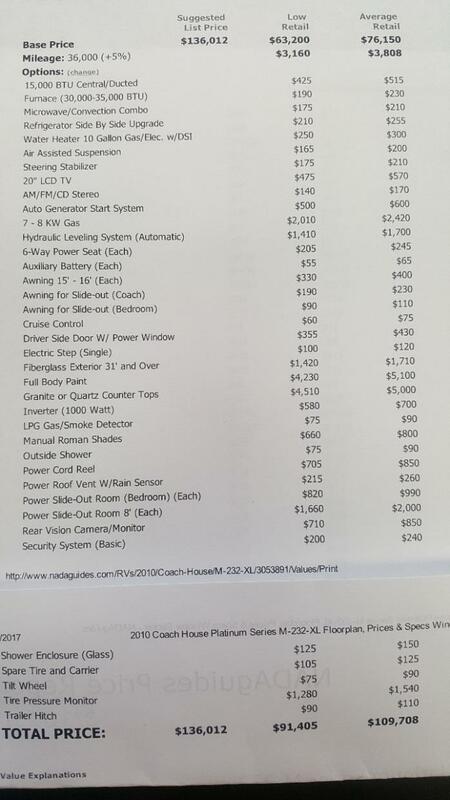 Don't fall for the big RV dealer fee scam. All those Fee's are 100 % dealer profit ! Call us today at (706) 965-7929 or (423) 605-6747 with questions . Will sell within a day or two !! 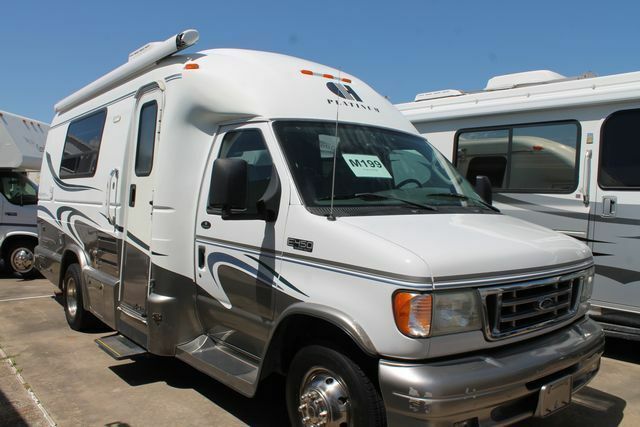 Visit our website WWW.Parkwayrvcenter.com for other great deals on over 170 used RVs (more added every day) .